Three dragons are sitting among clouds above three mountains emerging from the ocean. The myth of the Three Sacred Mountains first appeared in the Warring States period (475-221BC) when the pursuit of immortality was very popular. Legend has it that the Penglai, Fangzhang, and Yinghai in the East China sea had herbs that could make people live forever. 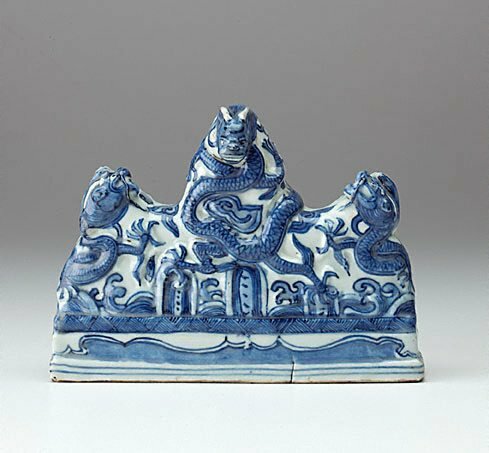 Dragons are often combined with the Three Sacred Mountains in Ming and Qing decorative art.